It's been planned for sometime, in fact, Epic Games have said that Fortnite's "Save the World" co-op mode would go free to play to match the success of the Battle Royale mode by the end of 2018. But in the latest blog post from the game's developer, it looks like we'll have to wait a bit longer till more folks can get their hands on the co-op play without dropping some hard earned cash. We’re working on a broad set of features, reworks, and backend system scaling we believe are needed to go free-to-play. Save the World has grown consistently since our launch in July 2017 and Fortnite overall has experienced unprecedented growth. Scaling up for the legions of player heroes who will be joining the fight is key to providing an excellent experience. This applies to all of our players, old and new, so we’re taking the time to get this right. The blog post goes on to explain some of the changes that have come out with the latest update. 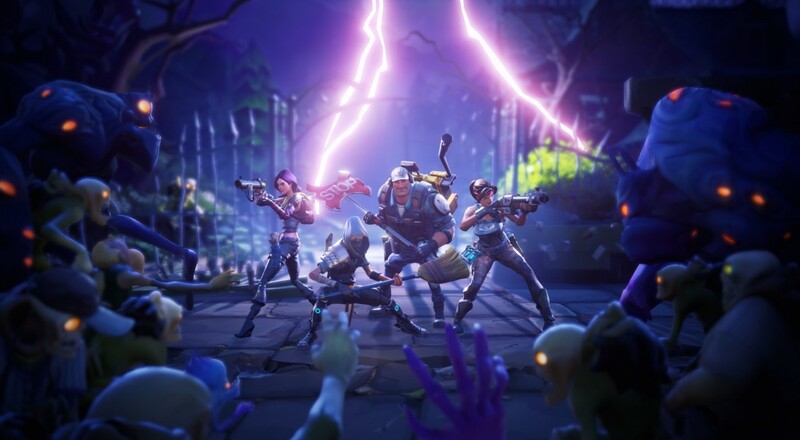 The biggest and most notable is a UI overhaul to bring the Save the World mode more in line with what's found in Battle Royale and make the transition between the two seem and feel more seamless. The other big change is around the Fortnite's Hero system, which is how players customize and progress their characters through the campaign missions. This rework is so drastic, Epic is planning a refund option for players that invested money into their heroes' mats. We’re working on an investment refund feature that will activate whenever we make significant changes to schematics, heroes, survivors, defenders or any other items you’ve upgraded. Upon launch it will be an opt-in process, we will flag the item that has been re-balanced and you choose to de-level if you wish. Will 2019 finally be the year that co-op Fortnite gets as much TLC as the Battle Royale? Epic is doing some truly unique things with the massive mode include live MMO like events, just like we saw this past weekend with the end of the cube. It'd be great to see co-op fans get the same sort of exciting features. We'll let you know one way or the other as soon as Epic reveals more details in 2019. Page created in 0.5570 seconds.